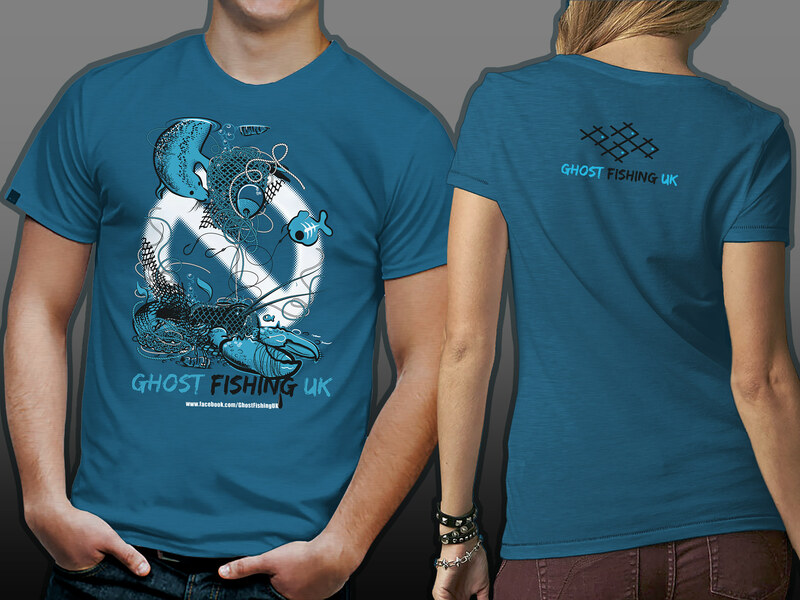 Ghost Fishing UK was set up to try to remove lost fishing equipment from the marine environment, typically entangled in reefs and wrecks. Its removal can be complicated and requires special diving skills. The group approached me to create a unique illustration for their official apparel. Using existing branding guidelines I created an illustration that communicates the problem they are trying to solve in a fun way, so as not to appear too gloomy, but suggests the tragic and seriousness of the issue with its content. © 2019 Steve Jakeway All Rights Reserved.